The Farley Foundation was established in 2001 by the Ontario Veterinary Medical Association (OVMA) to help low income pet owners by subsidizing the cost of urgent veterinary care. The foundation relies on donations to provide funding for those in need. Donations to the Farley Foundation are made by the veterinary community and generous pet owners. The OVMA and veterinary clinics team together to educate and promote awareness to pet owners on the Farley Foundation and how their involvement can help owners in need. Funding from the Farley Foundation is only distributed in Ontario, but sees donations from all over North America. The Farley Foundation reviews their eligibility criteria annually and to be able to provide the most funding available to the greatest number of people in need. The Farley Foundation has helped over 7200 pet owners and pets since its funding was available in 2002. They have helped a variety of pets from cats and dog to ferrets and guinea pigs. Helping with diagnostics, surgery, hospitalization and necessary medications. With the OVMA heading up this foundation and corporate sponsors supporting fundraising, they are able to keep costs very low allowing the majority of the donations to be used towards pets and pet owners in need. Over 75% of donations have been allocated to be used towards veterinary care for pets. You can help support the Farley Foundation by donating anytime through the Farley Foundation website, or by participating in any of their ongoing fundraising event. 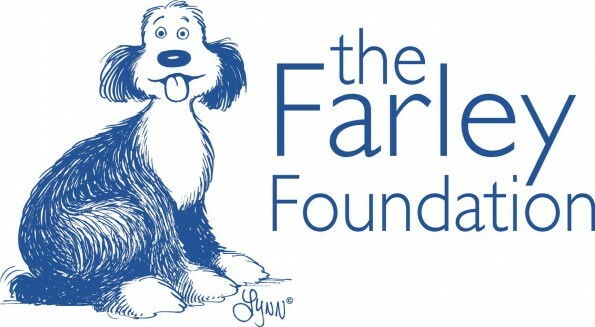 October is Fundraise for Farley Month, you can come in and support Farley by donating to the registered charity and have paw prints displayed with your support. In October of 2015 Farley raised over $260,000 with dedicated partnerships between veterinary health care teams and support of their corporate partner Royal Canin. For the entire month of October we will be accepting donations towards Farley. We will be holding a bake sale October 29th and 30th, and for a donation your pet can take part in Halloween photo shoot on October 30th ! All proceeds will go to the Farley Foundation. Come join us in our efforts to help support low income pet owners and pets with urgent medical care needs!